CREATE A VOICE Blog-ver-sa-tions: Wisdom Wednesday: Cartoon Watcher...do you? Wisdom Wednesday: Cartoon Watcher...do you? Wisdom Wednesday are thoughts for social conversation and sharing our honest opinions, ideals and Wisdom. All of us have a value worth sharing; it may motivate another to stop, continue and/ or begin a certain process in our personal or social development. I can say its, "simple entertainment" in which I enjoy even without my crew. Most adult men enjoy watching sports. Not me, 2009 New Year's Eve I stayed in and watched a marathon of Spider-man episodes on Disney XD. I know, I am not the only one who enjoys a good mini-drama of animation. With all the maturity I utilize among peers and colleagues I must say, "Cartoons is a better choice of entertainment for me". What about you what are your favorite cartoons? "Share" our posts on your profile. Help us increase audience. *New Feature: By Highlighting any word, we provide a live real time search without leaving. Nice one I need to post more. My Favorite cartoon was robotech, transformers and voltron. 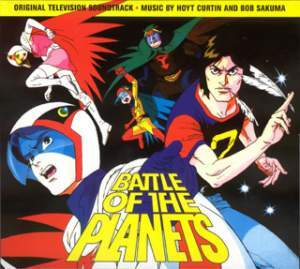 "Battle of the Planets" is an all time favorite. In the past couple of years "Spider-Man" has become a headliner for me, his critical thinking skills are awesome; it totally out weighs his powers.